PORT ORANGE, FL. - Jackie Lee was taken suddenly from us on March 12, 2019 at her home in Port Orange, FL. Her short journey in life has touched countless hearts and she will be missed greatly. Her successes in life were immeasurable! Her achievement lists was long, but most dear to her were her family and friends. She was a kind, generous, compassionate, intelligent and adventurous woman who was full of life! She was a caring daughter, a true friend, loving aunt, a warm hostess, a dedicated professional and an incredible cook. 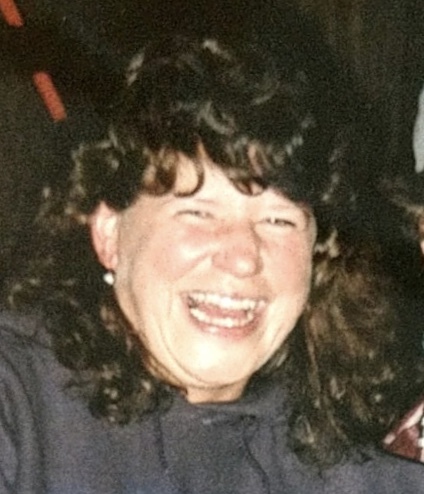 Her passions were her niece and nephew, her motorcycles rides, Daytona 500 bike week, enjoying music at NOLA, her dogs and cats, time with her family in the Adirondacks, fishing and bonfires at the grove with her lifetime friends. Her laughter was infectious and people were drawn to her for her gentle disposition. Jackie was founder of Access Information in 1993. She later moved to Port Orange and started Diligent Corporate Services. She was a sought after expert in the legal community for her practical knowledge of the complex Uniform Commercial Code. She was the initial editor of The Uniform Commercial Code Filing Guide. She was a tireless worker who provided superior service to all her customers. Jackie’s love of good food, fun Florida venues, and meeting people resulted in their successful catering business, Fat Boys Grill, which fed many hungry visitors. Jackie leaves behind her parents, John and Loretta Lee, her sister, Kristine Nusbaum (Donny), her adored niece and nephew, Amanda and Ryan, her partner Roger Putnam and a host of relatives. She leaves an extended group of dear friends in NY, FL and throughout the US, including Kimmy and Aiden; her many rescue cats and dogs especially Rudy. Only the good die young. A toast to an amazing woman! We tip our glass to you! You are forever in our hearts! Relatives and friends are invited to visit with Jackie’s family on Tuesday from 4:00 to 7:00 pm at Cannon Funeral Home, 2020 Central Ave., Colonie. Services in Celebration of Jackie’s life will begin at 7:00 pm at the funeral home. There will be a memorial service in April Port Orange, FL.